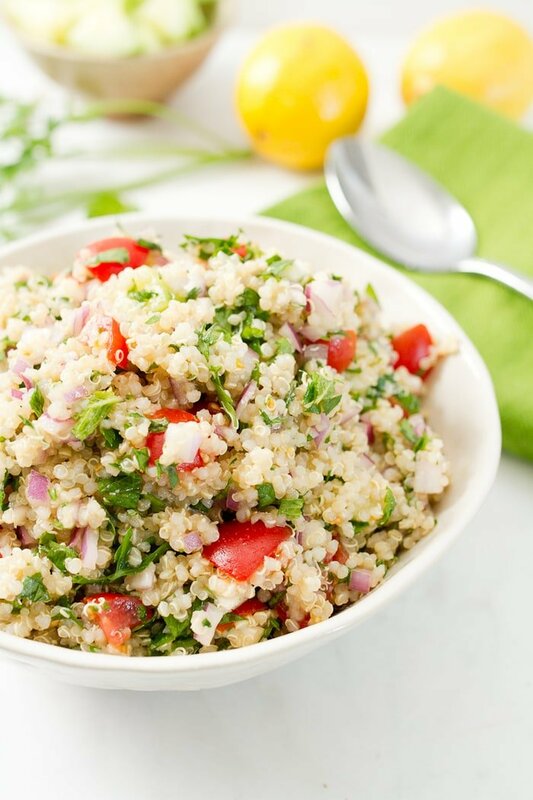 A fresh, healthy and incredibly easy quinoa tabbouleh recipe. 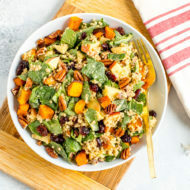 Bulgur wheat is replaced with quinoa so the salad is naturally gluten-free and packed with protein. Do you like tabbouleh? Yeah? Me too! It’s delicious and such an easy recipe to play around with. I actually already have a grain-free cauliflower tabbouleh and hemp tabbouleh, but today I’m sharing another tabbouleh variation for my quinoa lovers! 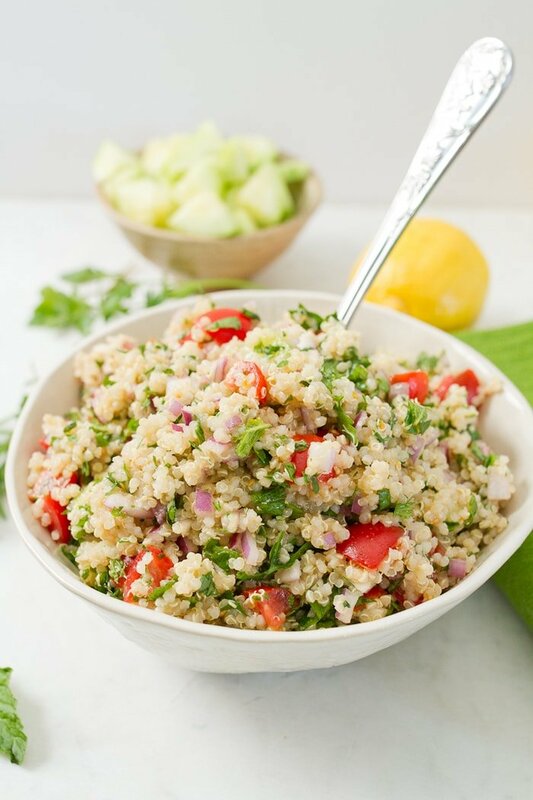 Like traditional tabbouleh, this quinoa version is loaded with fresh veggies and herby goodness. It’s a light salad that’s absolutely perfection on a warm spring/summer day. You can eat it by the spoonful, use it as a topping over a green salad or serve it with warm pita bread and hummus to stick with the Mediterranean vibe. Any way you serve it, this tabbouleh is absolutely delicious and crazy easy to whip up. You need only eight ingredients and one bowl! Once you have the quinoa cooked and cooled, the salad comes together in a matter of minutes. I’m sure tabbouleh purists won’t agree with me, but I like the quinoa version better for several reasons. Quinoa is a complete protein and has more protein than bulgur wheat when you compare them cup for cup. 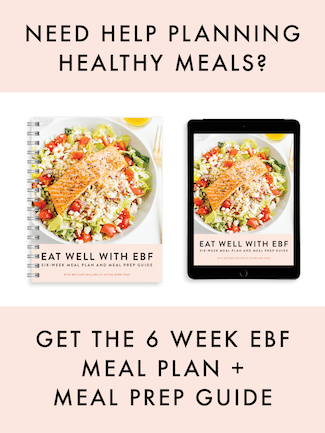 Quinoa = 8 grams per cup // bulgur wheat = 4 grams per cup. While both quinoa and bulgur wheat are whole grains and contain a similar variety of vitamins and minerals, quinoa is a bit more nutrient dense. Quinoa is gluten-free and bulgur wheat is not. 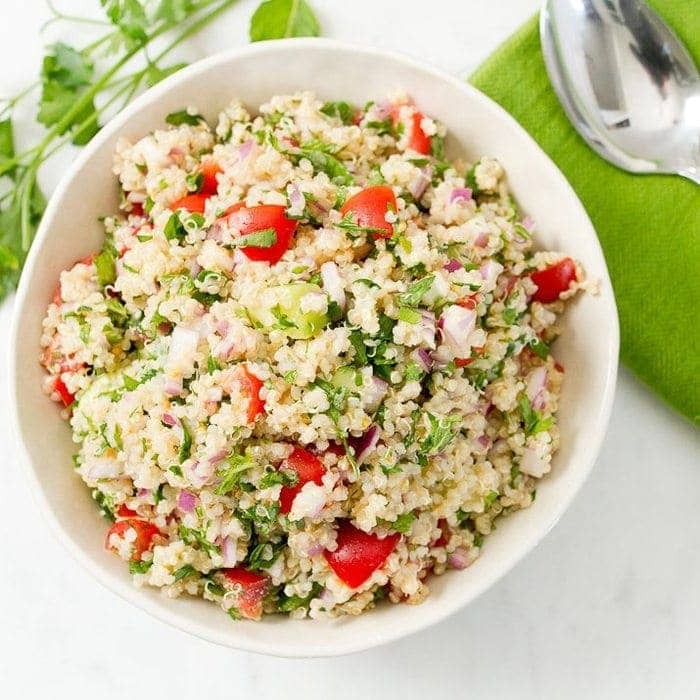 If gluten isn’t an issue for you I think traditional tabbouleh is awesome, but I love having this gluten-free quinoa tabbouleh as an option. 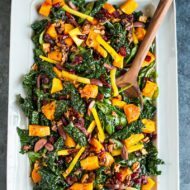 The recipe makes at least four servings so it’s an awesome salad for potlucks or for weekend meal prep. Make a batch on Sunday and use the salad to toss together quick lunches throughout the week. Bring quinoa and 2 cups of water to a boil in a medium saucepan over high heat. Once boiling, reduce heat to medium-low, cover, and simmer until quinoa is tender, about 10-15 minutes. Remove from heat and let stand, covered, for 5 minutes. Fluff with a fork. Once quinoa is cooked, spread it out on a large rimmed baking sheet to cool. Alternatively you could let the quinoa cool in the pot or make the quinoa ahead of time and store it in the fridge. Transfer quinoa to a large bowl. Add parsley, mint, tomatoes, cucumber and red onion into the bowl with the quinoa; toss to coat. Season with juice from lemon, olive oil and salt. Stir to combine and serve. 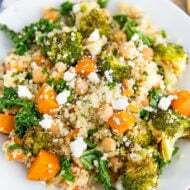 *If you make the tabbouleh ahead of time and realize that much of the olive oil has been absorbed by the quinoa, feel free to add a little more before serving. Thanks Ash! Totally agree. I’ve also been using it to make wraps. This tabbouleh looks so fresh and light! I love that you used quinoa, I actually prefer it to the traditional bulgar. 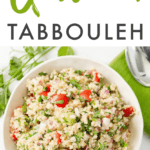 Tabbouleh is some of my favorite food! Would love to try out this recipe with quinoa. It looks delicious from these photos. I so do love tabbouleh – and your version with quinoa is rocking! The perfect, hearty weeknight meal! Thanks so much!